If you experience low volume on iPhone, iPad or iPod Touch on Audio or Video call (FaceTime, App on Skype/Viber). 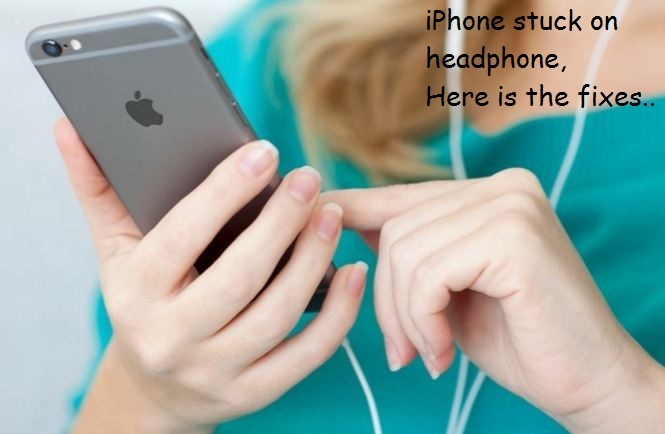 But headphone is the #1 solution and most of the people like the way of use when you are in traffic, shopping, driving. So millions of user bothered about iPhone stuck in headphone mode or headset mode on running call. First, check the below steps and mark for what are you going wrong with your iPhone, iPad or iPod Touch. If you didn’t receive a call on Apple watch from iPhone, then you can try below-fixed steps for no caller ID appear on Apple watch screen or can’t receive apple watch call. Switch from Speaker to headphone, Connector plug 3.5mm jack in between. First, identify what’s creating problem either Hardware or Software. Try another headphone; if you are using third-party headphone, then I would recommend apple’s headphone/ EarPods. But for the software issued follow the below ongoing steps. Internal software creates an issue on switch for hardware, either device’s speaker or Headphone. So repeat again by plug in/ out audio jack from iOS devices (iPhone/ iPad/ iPod Touch). Most of the case restart not worked then try force restarts (Press and holds sleep/ Wake button + Home button until you see the slide to turn off screen). Otherwise for reboot, press and hold sleep/ Wake button. Dust or oily layer inside the hole might be created interruption between contact between audio jack and hole pin. With care clean jackhole with cleaner tool. Also used to clean all other gadgets, keep you use for all the time. New update available for your device, then update your iOS under Settings > General > Software Update. Stop or customize Background app refresh, Settings > General > Background App refresh. Not help, Contact nearest apple store fix out any critical issue might have occurred in your iOS device. Also share with us, how you have fix iPhone stuck in headphone mode.